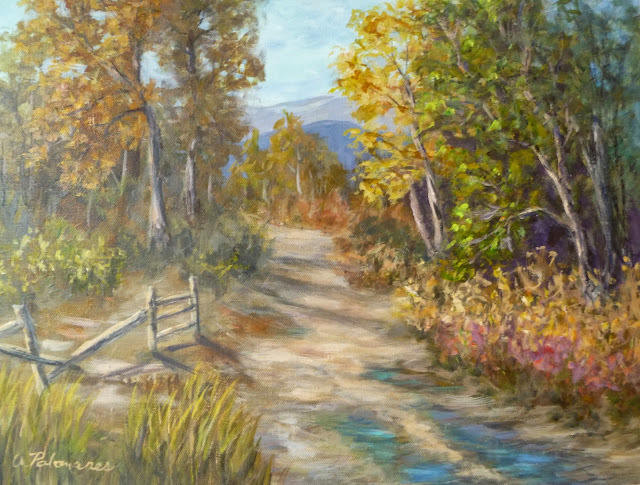 Professional luminous landscape paintings of wetlands, rivers, nature parks, birds, trees, and wildlife are my favorite subjects in my impressionist nature paintings, I have a deep appreciation for natural areas. This appreciation was instilled in me from a young age and, no doubt, came from our camping excursions, hiking and trips to wildlife refuges in South Texas. To see a complete portfolio of all my work, click on on my Art Gallery link above, but you can find some samples below. Vibrantly painted original and prints of nature landscape paintings are professionally rendered based on my trips to marshes, national and state parks, and botanical gardens. I love to visit these areas throughout Florida, Texas, Georgia, South Carolina during different seasons as each season brings a different look and feel to these natural places. 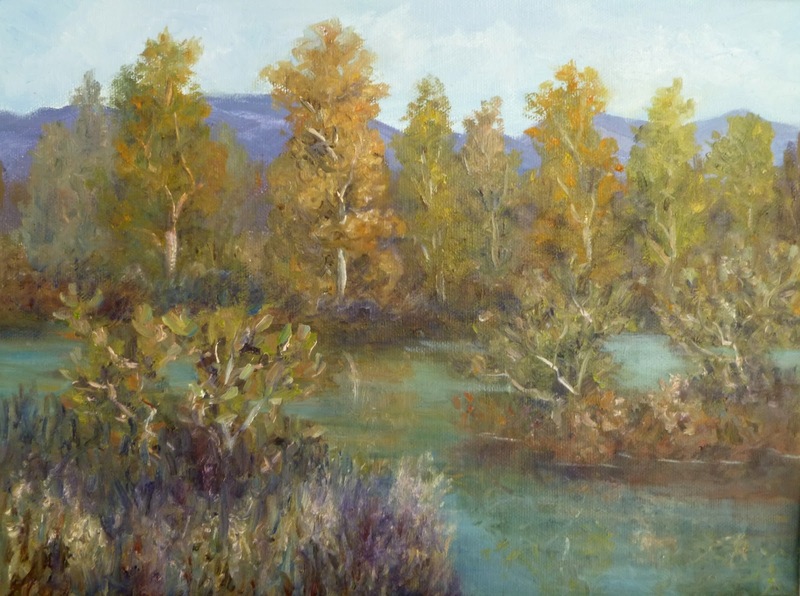 My nature paintings will often include a lake, river, creek, pond or marsh. I am drawn to water and love to paint the tones and reflections in the water. Boats and canoes are a great way to explore coastal nature areas, and I often place them in my paintings. Paintings of trees, sunsets, sunrises, and clouds in all shapes and sizes are often found in my works of art. Wildlife and birds, including Great Blue Herons, Egrets, Snowy Egrets, and Ibis are lovingly painted into my nature scenes. A professional gallery of original and prints of luminous landscape paintings is available. The paintings bring the joy of the outdoors to life on canvas. My paintings are often painted on location or sometimes if the bugs are bad, I make a quick sketch and take photographs so I can paint in my art studio. I hate creepy crawling things so I may leave my destination a little early with photgraphs in hand or I may return to the site to finish p the painting. My colorful paintings of nature are done in acrylics or oils, with rich glazes that bring a since of depth and richness to the painting. The style of my paintings are in a painterly impressionist style and often have a touch of whimsy. If you have any questions about my nature paintings, please feel free to contact me for more information.